Our Personal Training Studio provides individualized one-one-one sessions in Personal Training, Private Yoga, Nutrition, and Mobility. 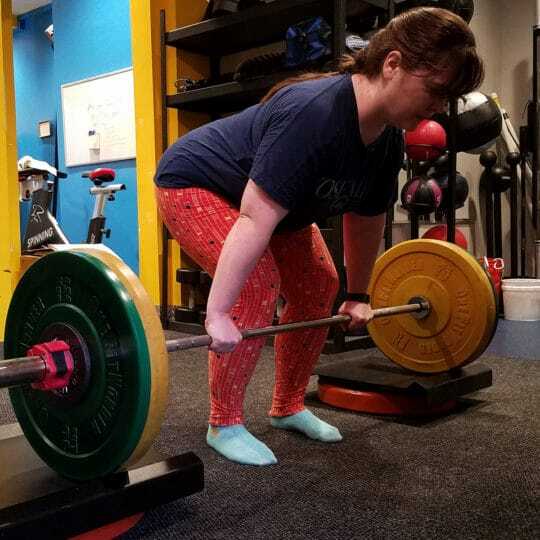 Personal Training helps build strength and endurance. Yoga improves balance and flexibility. Nutrition promotes weight loss and improves health. 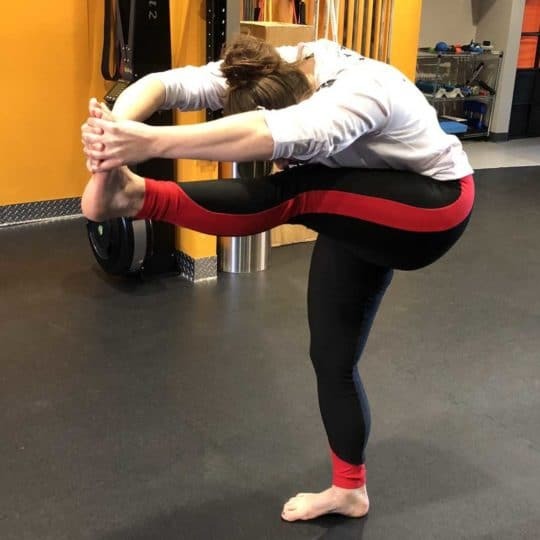 Mobility helps with recovery and range of motion. Get Healthy. Feel Good About Your Body. Move Better. Get Strong. Personal Training: builds strength, burns fat, and improves conditioning. Sessions are one-on-one with a customized program built to your goals and abilities. Have a severe or chronic injury? 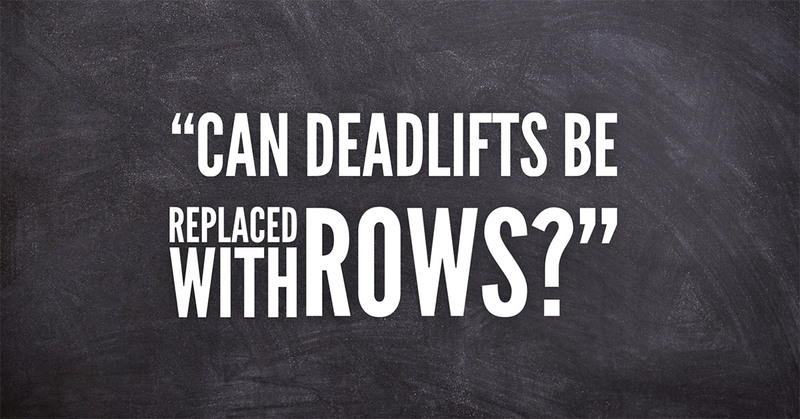 No problem… we have worked with countless people with numerous injuries. From bulging discs, torn rotator cuffs, missing limbs, to bum knees – we’ve seen it, and we can work with it. We specialize in weight loss, active military, and fitness for seniors and older adults. 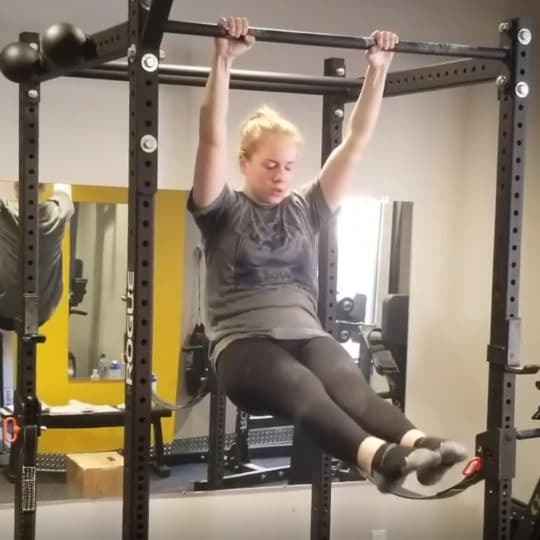 We utilize many styles of training such as Functional Strength Training, Power Lifting, Conditioning, CrossFit techniques, kettlebells and TRX Suspension Training. Yoga: improves balance, strength, flexibility, and endurance. The power of private yoga sessions cannot be overstated. 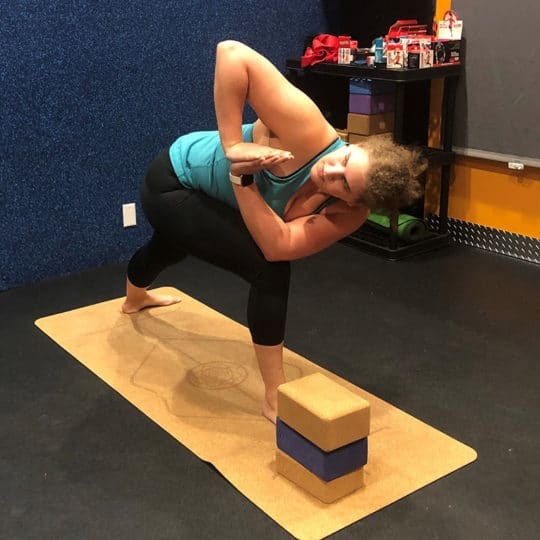 With the ability to control and customize every aspect of the yoga session to the needs of an individual clients, our yoga instructors can select the best poses and sequences for you that specific day. You’ll get in shape much faster with much less risk of injury. We utilize many different styles of Yoga such as: Ashtanga, Bikram, Rocket, Hatha, Iyengar, and Yin Style Yoga. Nutrition + InBody: We build you a customized diet plan based on your life style and your goals. We use the InBody 570 to track your weight loss & muscle gains. The Nutrition + InBody Service helps improve overall health and fitness. We evaluate you food journal and provide you feedback to improve your diet. We build you custom shopping lists to make food shopping easier. Find you meal delivery systems that work for your budget. We handle planning associated with travel and eating at restaurants. Mobility & Movement (Myotherapy): We analyze movement inefficiencies through screening and assessment. We trace the sources of pain to its root cause, and we strengthen weak muscles with corrective exercises. 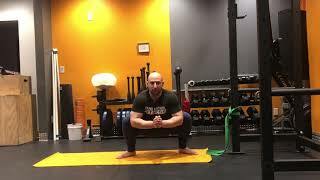 We stretch tight muscles with PNF stretching, M|WOD, & Contract-Release Techniques. Movement and Mobility helps prevent reinjury by addressing the cause of the pain, and restores full muscle function through instrument assisted soft tissue mobilization, rolling, and myofascial release. In short, we help you move better, with less pain, more efficiently. Check out our training sessions on youtube. 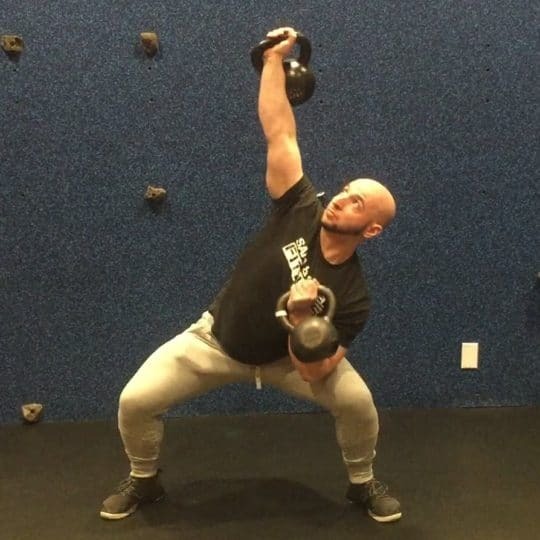 Learn something about movement or lifting. 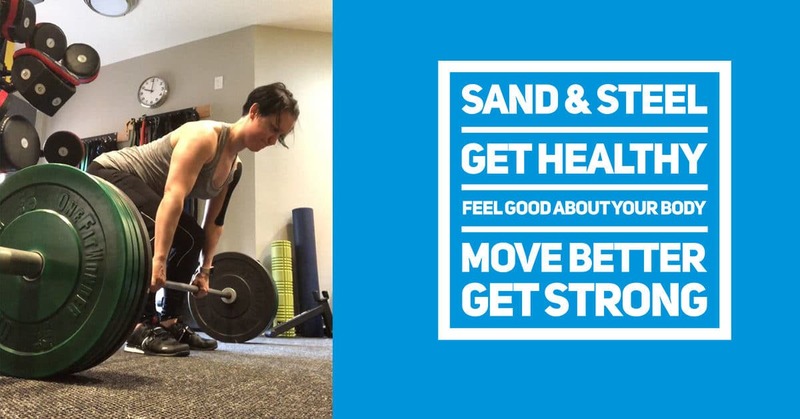 Join the Sand & Steel Community and Get Serious about Getting Healthy. 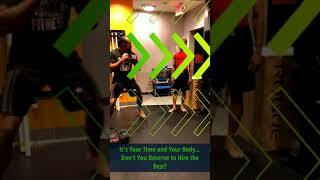 We are the highest rated team of Personal Trainers in Alexandria, Old Town for three simple reasons. We deliver on our promises. All of our sessions are backed by a 100% satisfaction guarantee. Three, you are treated as a person, not a number. We know that you have options in Alexandria, VA. Before you sign-up for a long-term contract some place else, try our Starter Pack. It’s 4-sessions with no additional commitments or obligations. Give us a shot, and find out why 95% of people that try out Sand & Steel, stay at Sand & Steel. We are a boutique personal trainer & yoga studio. We handcraft and customize every workout. We integrate nutrition, movement, and flexibility into our personal training plan. We study our craft, take as many certifications as we can, and develop unparalleled expertise in our specializations. We treat every client with respect and individualize every workout. Developing talent takes discipline, and we push the envelope to improve our coaching quality every day. WE LOVE WHAT WE DO … and We Do It Better than Anyone Else. 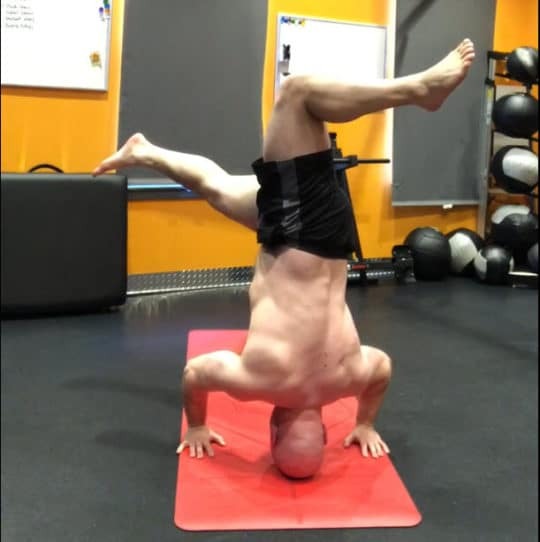 We are Sand and Steel: Professional Grade Yoga Teachers and Personal Trainers. We know that getting into shape with a busy job or an injury is challenging. With all the diet and workout programs out there today, it can be hard to know which one is right for you. 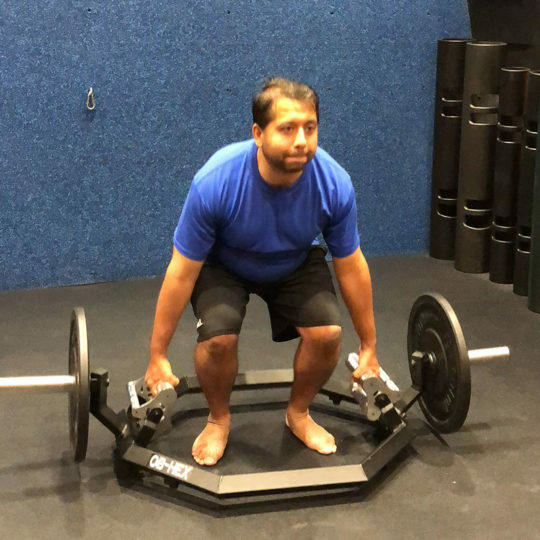 At Sand and Steel Fitness, we do all that hard work for you. All you have to do is show up and give us a 100%. We will help you achieve all your health and fitness goals…. from training for an athletic event, looking better, or improving your health and wellness. 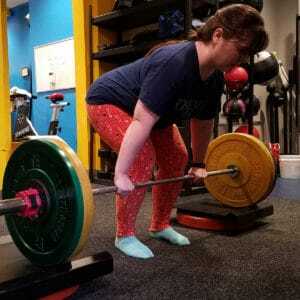 Not everyone’s fitness goals are going to be the same, so why would the path to those goals be identical too? 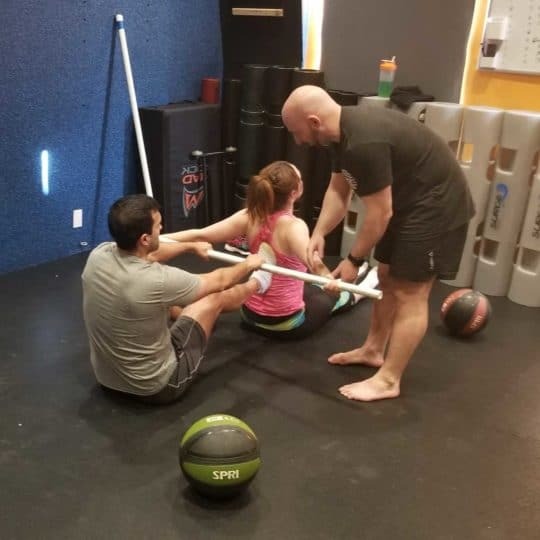 At Sand and Steel Fitness, we respect the differences in your personal fitness journey, and want to do what we can to help you get to where you want to be. 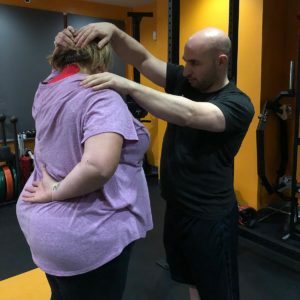 That’s why our skilled personal trainers will work with you to build your ideal workout and fitness plan; we want to customize this experience to be exactly what you need. 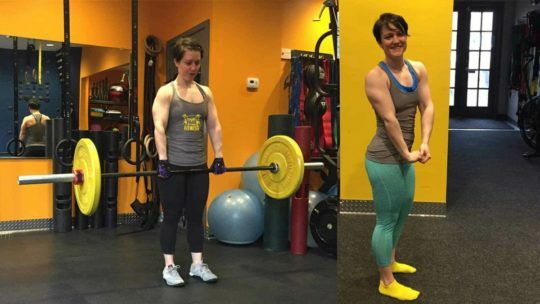 Fitness isn’t one-size-fits-all, and neither are our programs. 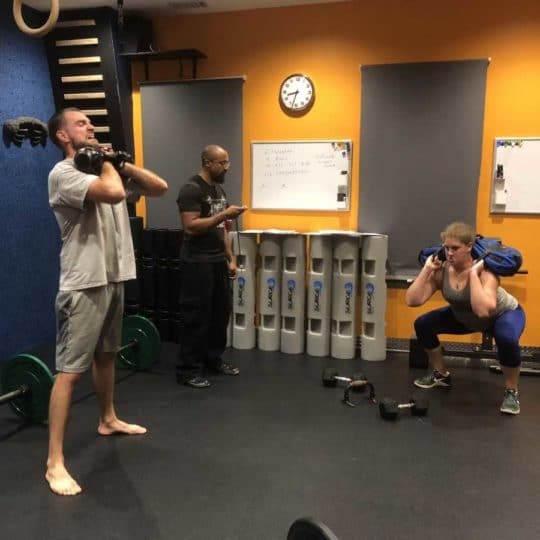 Whether you’re just starting out on your path to health or if you’re an athlete looking to go pro, Sand and Steel Fitness can design a program to your needs and skill levels. Our certified fitness trainers are skilled in a variety of exercise types, from yoga and gymnastics all the way to bodybuilding. Different exercises are going to work best for different people, and our trainers want to help you in the way that you’re looking to be helped. Even if you’ve never picked up a barbell before, our expert trainers are here to help you find a path to health that you enjoy and let you learn about new exercise methods for you. Getting in shape isn’t just about exercise; nutrition plays an important role too in staying healthy and fit. Our experts can incorporate nutrition and diet into your overall health plan, helping you meal plan for success. At Sand and Steel Fitness, we want to make sure you’re getting healthy in all parts of your life, not just in the gym, and we recognize the importance of a healthy diet in your success. Our personal trainers are ready to help you become the best version of yourself. Are you ready to get in shape? Contact us to get started on your fitness journey today. Dawn and Paul have over ten thousand hours of personal training experience. 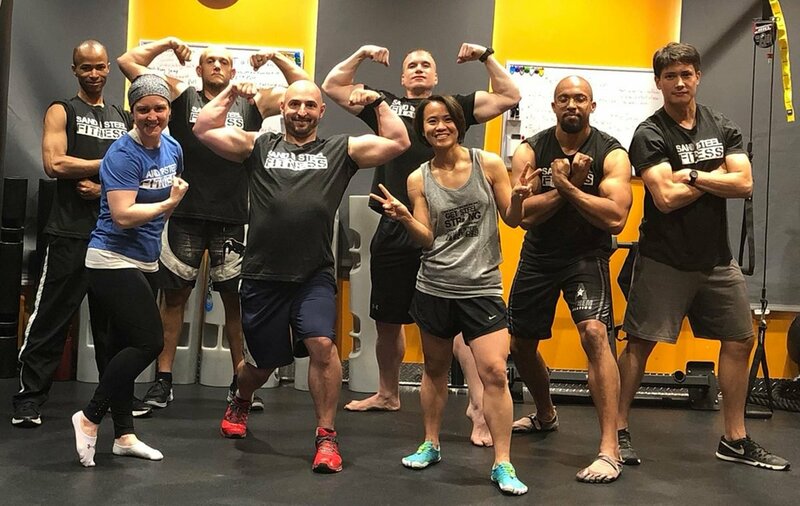 They have trained over 100 personal trainers including our two master personal trainers, Max and Brian. We build-out customized personal training programs for active military, seniors, weekend warriors, and recovering CrossFit athletes. 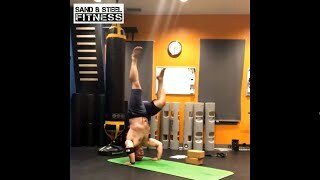 Sand & Steel emphasizes safe and effective movement. We build our personal training program around how you move. We work on your weaknesses, and teach you how to train efficiently. 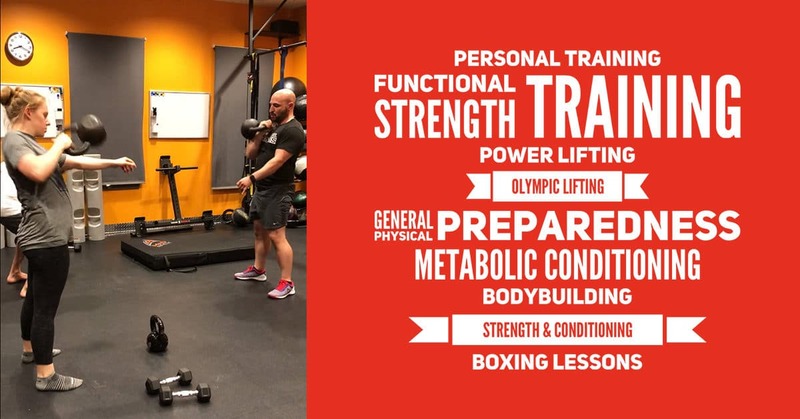 Learn more our about personal training service. 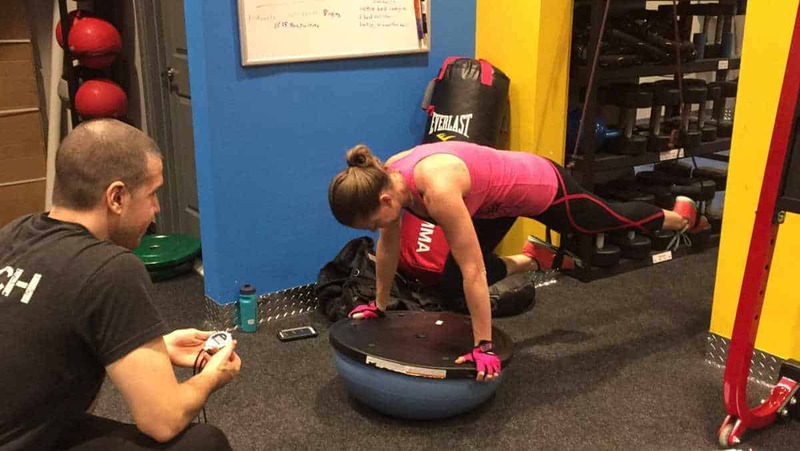 When it comes to Personal Training … We do it all. From Mastering Kettlebells to TRX Suspension Training, we have the tools and experience to improve you health and build the body you want. Movement, Mobility, and Corrective Exercises are techniques that improve recovery, strengthen weakened muscles, and help prevent injury. Mobility means helping you move better. We restore range of motion through techniques like partner assisted stretching and joint distraction. We loosen tight fascia with M|WOD and Scraping. 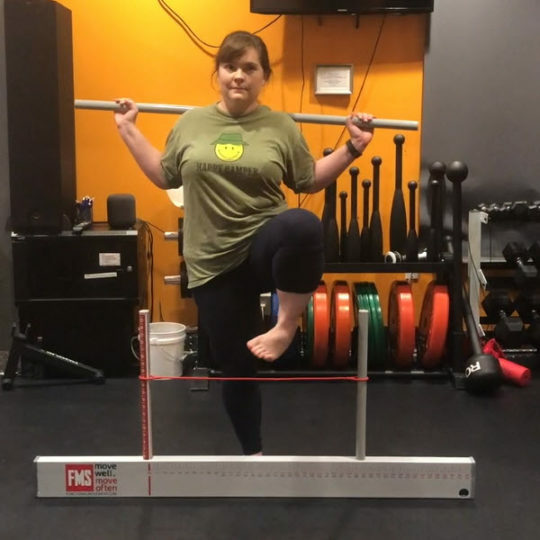 We measure your mobility with the Functional Movement Screen (FMS) and Y-Balance Test (YBT). 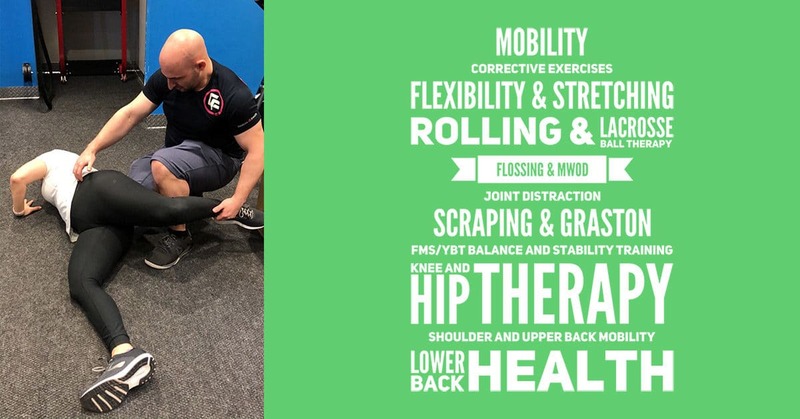 View the mobility and corrective exercise services. Weak Muscles allow Joints to Move into Unsafe Positions. Tight Muscles Move Your Joints into Unsafe Positions. Mobility strengthens what’s weak and mobilizes what’s too tight. Yoga: We offer 100% individualized yoga flows for our private yoga lessons. One-on-one sessions allow us to craft the yoga flows and asanas to your unique goals and improve your weaknesses. Build range of motion, balances, and dramatically improve recovery with our private yoga sessions. 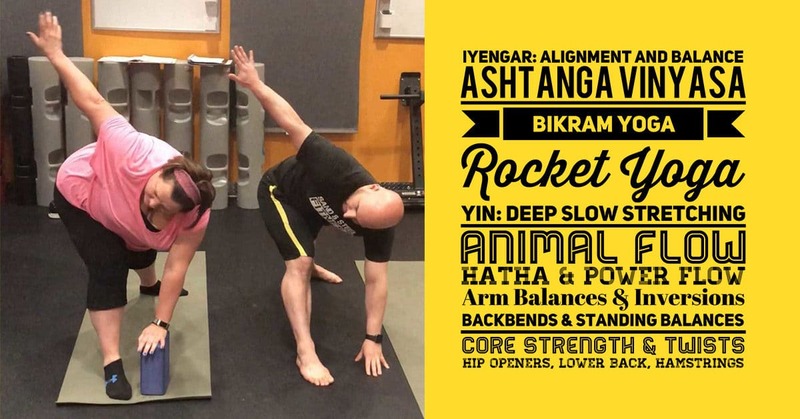 Animal Flow takes all of the challenges of Vinyasa yoga (flowing yoga) and builds new transitions to help you flow from one pose to another. It’s fun, burns tons of calories, and will help you build functional strength. Read more about our Private Yoga and Animal Flow Sessions. Our Private Yoga Sessions and Animal Flow sessions are dynamically scaled to your ability. You’ll get better faster, because our Yoga Teacher and Animal Flow instructions will select the optimal asanas and sequences to maximize your improvement. 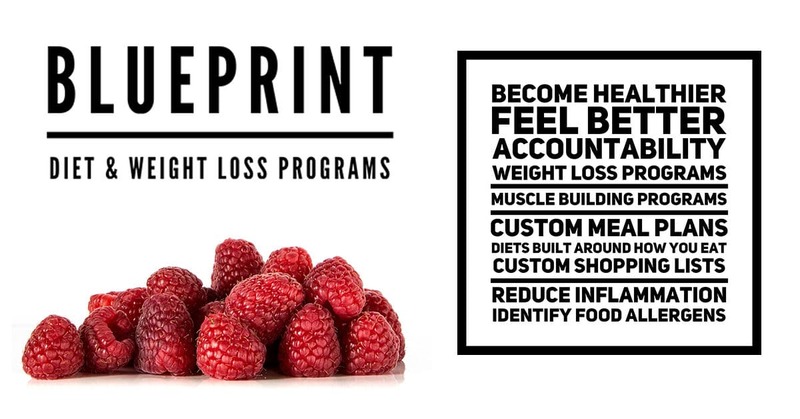 BluePrint: our customizable diet and weight loss program. Our diet is optimized to help you look good inside and out. The BluePrint promotes weight loss and development of lean muscle. BluePrint is a sustainable healthy living diet that helps you make better choices. We include a complimentary InBody Scan with your nutrition session to track body fat loss and muscle mass gains. We use the results from the InBody Body Composition Scan to adjust your diet and dial in the weight loss programming. Schedule your BluePrint Nutrition Session today. With BluePrint, you’ll get a customized meal plan based on the foods you like. A diet that is customized around your life with coaching to help you stay accountable. You’ll learn how to change your meal plan so that you can make healthy choices on road, in meetings or while travelling.